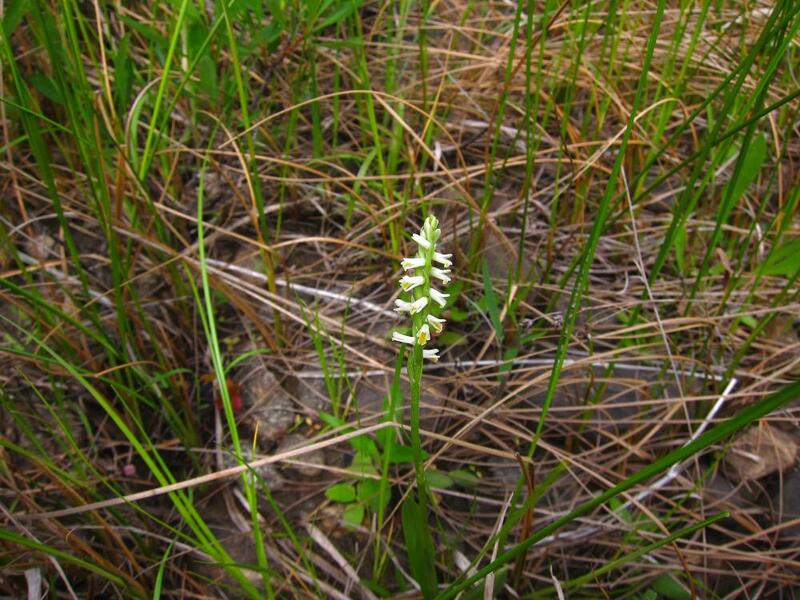 Spiranthes lucida, commonly called Shining Ladies' Tresses, is distributed in eastern and parts of central Canada and the United States, from Alabama to Quebec. 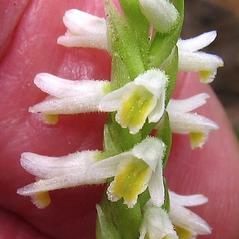 It has 3-5 light green, glossy basal leaves which are usually present during flowering. 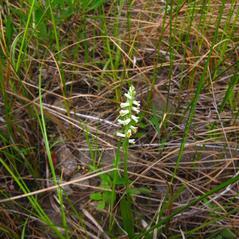 In early summer, it bears an inflorescence of up to 20 small, white flowers arranged in a tight spiral. 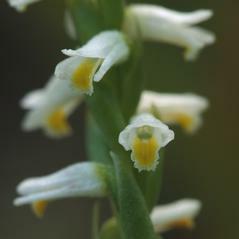 The lateral petals are connivent with the dorsal sepal to form a hood over the column. 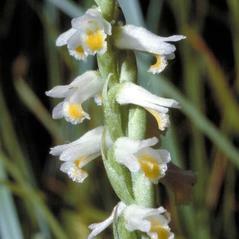 It blooms earlier than many species of Spiranthes, and can be distinguished by the yellow coloration on its labellum. The inflorescence is often covered with small hairs. It favors moist, rocky, or sandy soils and can be found along riverbanks, in fens, and in moist woodlands. 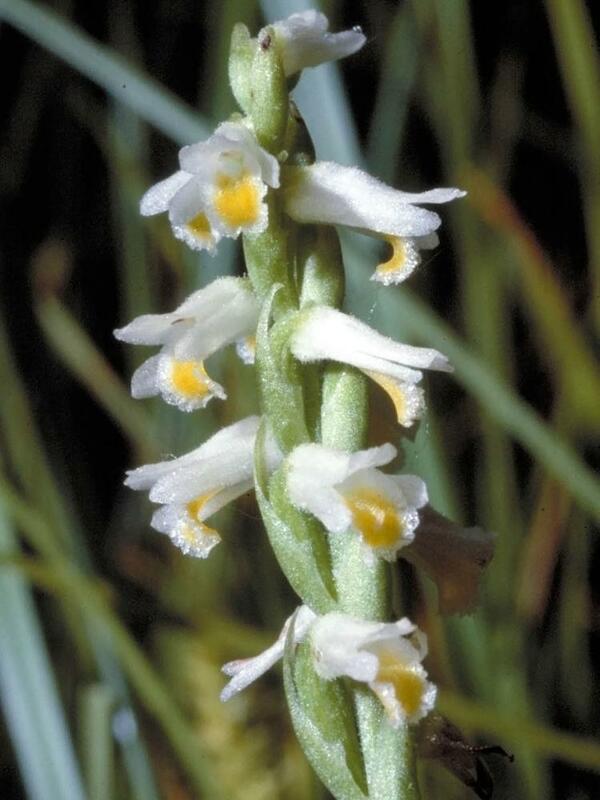 Spiranthes lucida is considered globally secure, although it is considered rare, vulnerable, or presumed extirpated throughout much of its range. 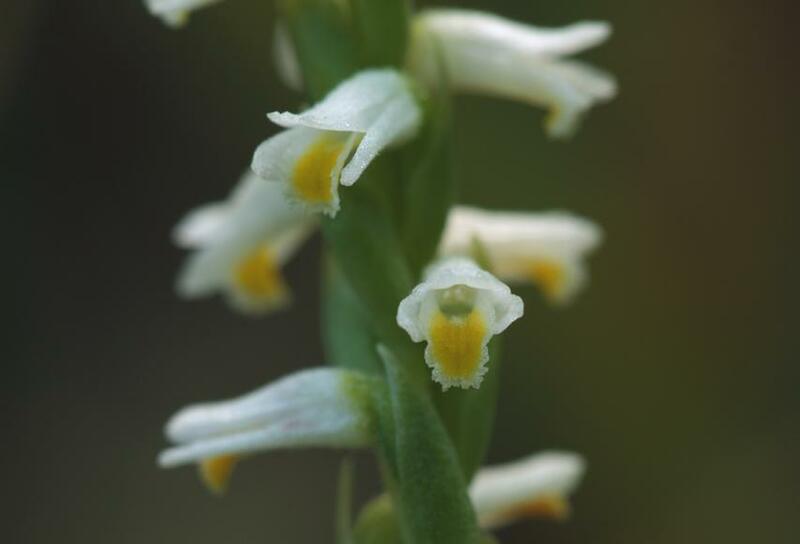 This orchid differs from most Spiranthes species because the nectar is secreted onto the ventral surface of the column and the flower is adapted to bees with short tongues such as Augochlorella aurata, and Lasioglossum imitatum.